Our Owner: Carl Dreizler is the owner of findacruisedeal.com He has traveled to all seven continents at least twice each as well as all 50 states and 110 countries throughout the world. Carl grew up in Southern California, received his undergraduate degree in business administration from the University of Southern California and then went on to receive two master's degrees. He started finacruisedeal.com in 1996 after leaving the corporate world to pursue his dream of traveling the world. He now uses his expertise of having seen much of the world to help others plan their dream vacations. 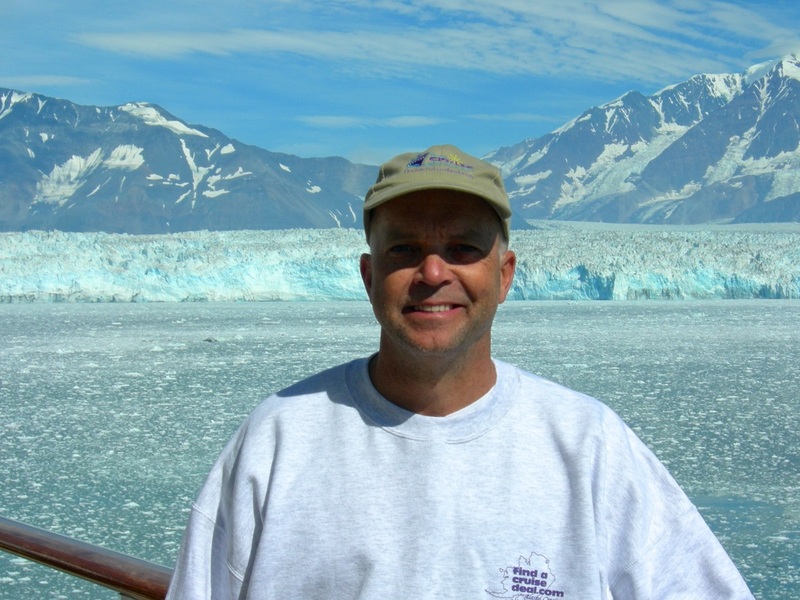 Carl has cruised on almost every cruise line and has been on approximately 100 cruises. Although much of our business is helping our clients with cruise vacations we, at findacruisedeal.com are specialists in helping our clients with land-based vacations as well. One of our biggest areas of specialization is with group travel. Below we have highlighted just a few of our areas of expertise. Cruise Vacations We work with all major ocean cruise lines and river cruise line companies...including many others we have not listed below. Land-Based Vacations We can help you with your land-based vacation to anywhere in the world. Our number one destination of expertise, however, is the South Pacific...specifically Hawaii and Tahiti. We are very familiar and very experienced with all four of the main islands in Hawaii as well as Lanai and Molokai. In the area of Tahiti, we have traveled many times to the Society Islands, the Marquesas, the Tuamotus. We have also visited the Cook Islands and Fiji multiple times. We work with companies such as Classic Vacations and Travel2, as well as dozens of other companies to plan your trip exactly the way you want it. Cruise/Land Specialists Sometimes we work with clients using both cruise and land-based vacations. As an example we recently planned a three-generations family trip for some of our clients who are cruising the Mediterranean, departing from Rome. Since the family wanted to tour this great city prior to boarding their ship, we set up a 3-night hotel, tours and ship transfer package for them. We also were able to find flights for them that were well below the air quote from the cruise line...thereby paying for a good portion of the Rome pre-cruise trip with the air savings. On-Location and Shore Excursion Specialists Sometimes our clients, whether cruising or taking a land vacation, want us to help them set up specialty or private tours along the way that are separate from the cruise line or tour company we are using. We have experts on location in most countries around the world. In addition we can help our clients set up special private shore excursion from the ports they visit on their cruise. Group Travel A good portion of our cruise business is that of setting up and/or leading groups around the world. Some of these are private groups for families, corporations or non-profit organizations. But often these are simply groups of our own existing and new clients who want to join others for a travel experience. We are so pleased to see that many, many new friendships have been formed as a result of these groups. Often people who meet on these groups travel for years together and become life-long friends. Family Travel One popular trend in the cruise and travel business is multi-generational family travel. We have set up many trips for our clients where grandparents travel with their grown children and their grandchildren. Incentive and/or Training Workshop Travel There is, perhaps, no better way to treat the top producers of your company, than to have an incentive trip aboard a cruise ship. Your meals are included so you can aviod the costly meal expenses associated with many resorts. Since most cruise ships have meeting spaces, they also offer a great venue on which to hold certification or educational workshops. Own a small business or medical practice? We have set up smaller group cruises for the staffs of our doctor and dentist offices. It is a great way to reward your staff for a job well done! Charters Several times we have chartered a barge or private vessel just for our clients. There are smaller barges on the rivers in Europe where we have held all of the cabins and sold them to groups and individuals among our clients. Example of Incorporating All of the Above! A good example of how we incorporate all of our services is a group we led a couple of years ago through the Adriadic and Aegean Seas. About 40 people joined us on this trip. A few of the people in the group knew one another, but most of the group consisted of singles and couples who didn't know anyone. We started with an optional 3-night pre-cruise trip using one of our on-locations specialists in Italy to set up a great land package touring the area from where the cruise departed. During the cruise we arranged for private shore excursions at each stop...open only to those who were in our group.